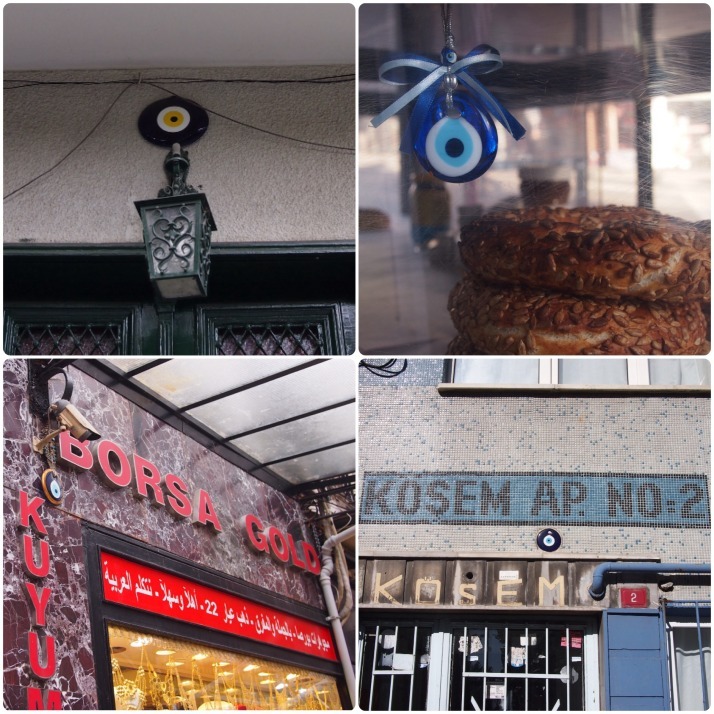 If you’ve been to Turkey you’ll have seen the symbols consisting of blue and yellow concentric circles, and if you haven’t you might have seen one on someone’s keyring or in a picture and wondered what it is. 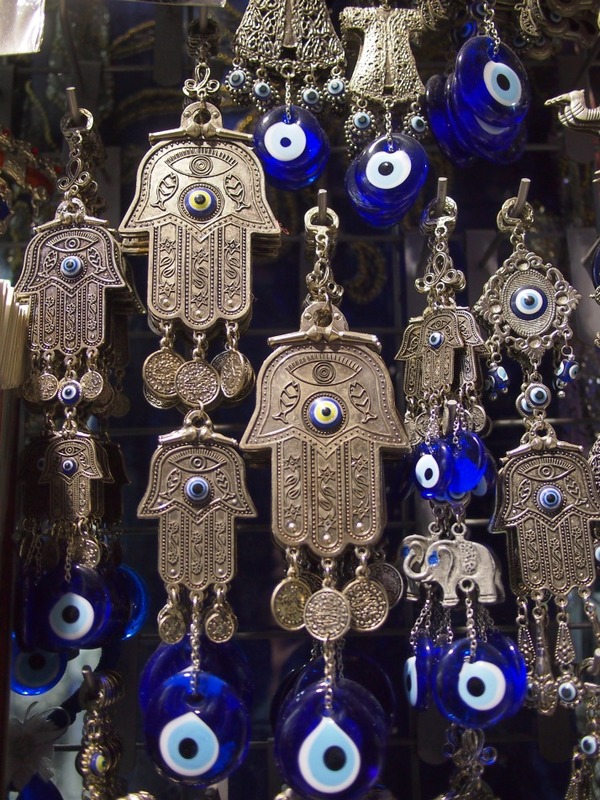 In Turkish they are called ‘Nazar’ which translates as ‘evil eye’ and they are charms to protect against curses cast by malevolent stares. 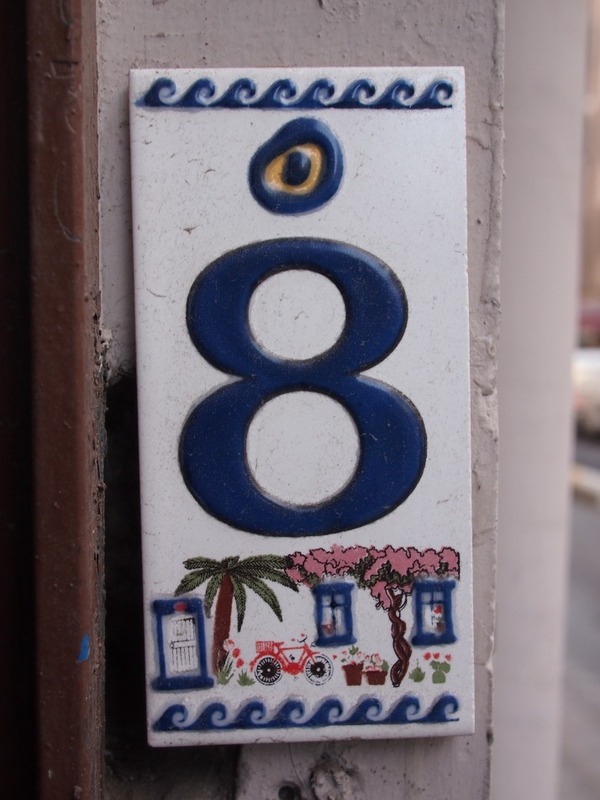 Many houses and shops have one somewhere obvious and we’ve seen them on cars, boats, jewellery and accessories too. 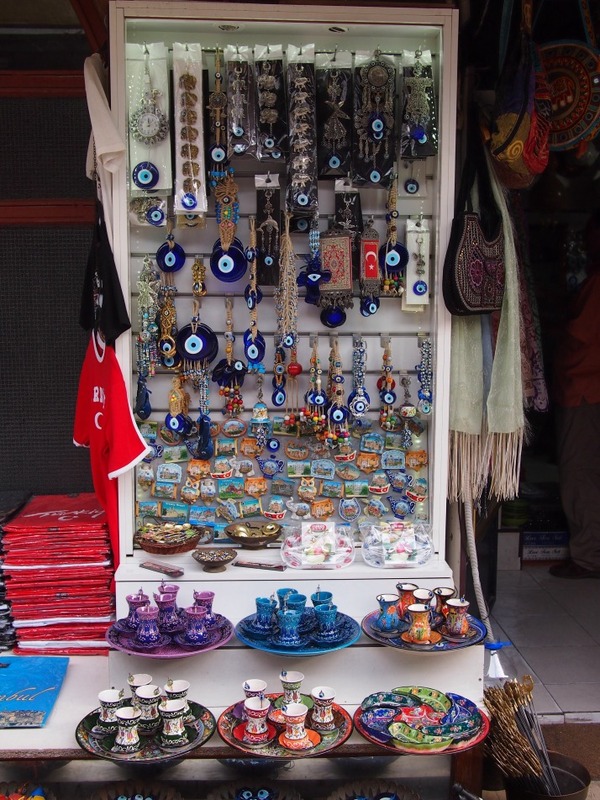 A pretty hefty percentage of the average Turkish souvenir shop is taken up with evil eyes too. This entry was posted in Travel and tagged Evil eye, Turkey on November 4, 2014 by Julie. 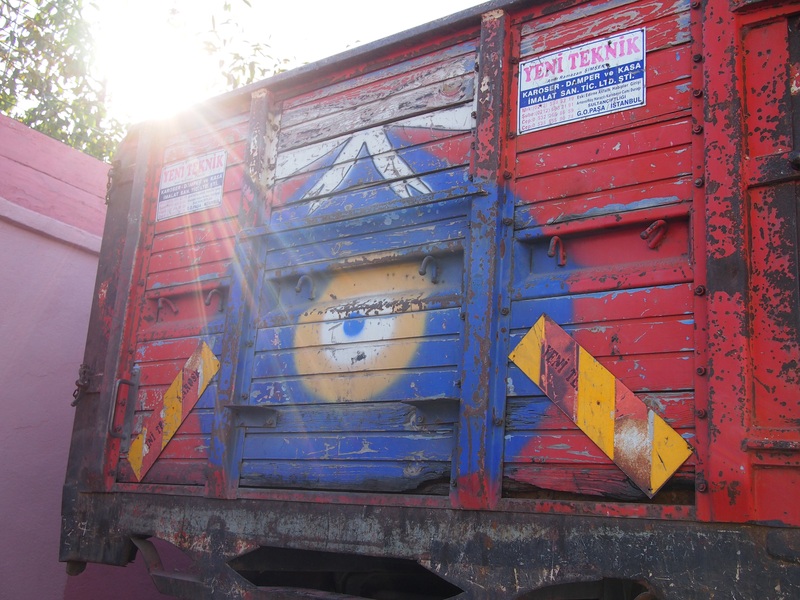 I’ve still got my evil eye pendant somewhere from our Bodrum trip.